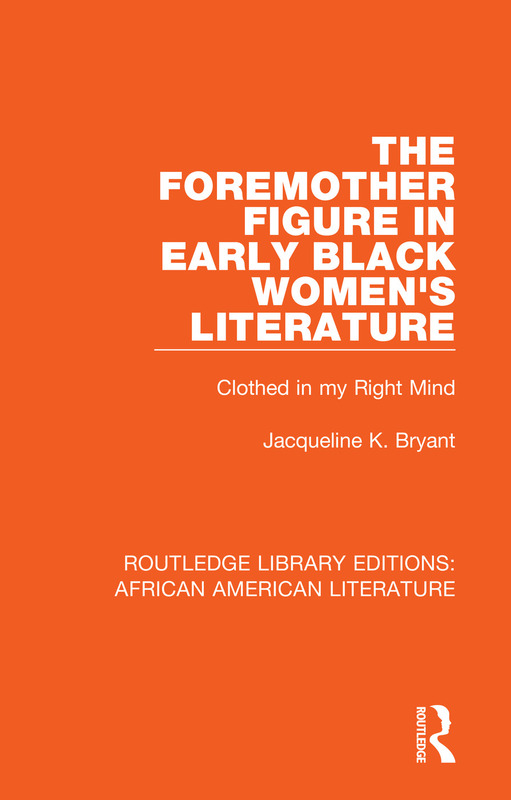 Originally published in 1999 The Foremother Figure in Early Black Women's Literature looks at how stereotypical foremother figure exists in nineteenth century American literature. The book argues that older black woman portrayed in early black women’s works differs significantly from the older black women portrayed in early white women’s works. The foremother figure, then emerging in early black women’s fiction revises the stereotypical mother figure in early white women’s fiction. In the context of the mulatta heroine the foremother produces minimal language that, through an Afrocentric rhetoric, distinguishes her from the stereotypical mother and thus links her peripheral role and unusual behaviour to cultural continuity and radical uplift.